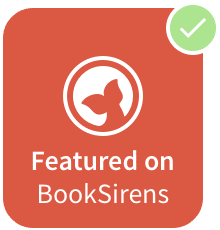 A Girl Like That by Tanaz Bhathena // 4.5 Stars. Heartbreaking tale of a girl’s life before her death. Pachinko by Min Jin Lee // 4.5 Stars. A book following multiple generations of Korean immigrants in Japan. American Panda by Gloria Chao // 4.5 Stars. A girl at MIT trying to decide between her parents’ wishes for her and her personal dreams. These three books actually share a lot in common. Firstly, I rated them all 4.5 stars haha! Secondly, they all have Asian women protagonists (though i think zarin was part pakistani? ), and thirdly, they all have a lot of culture and family is a big focus! I started Windwitch and Remember For Me (finally oh my god! ), then Aversion and Dreadful Young Ladies and Other Stories are the only other two books I’d like to read in April. The three books above for review are all eCopies, so they take me a lot longer to read. Hopefully I can get myself a Kindle sometime soon. 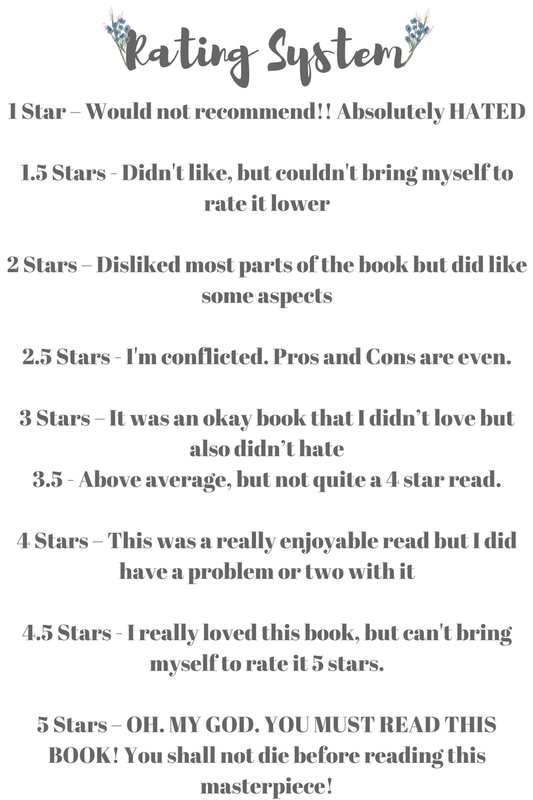 The most popular post of this month was Why I Love Reading Negative Reviews! This actually isn’t too surprising considering the past popular posts I’ve had on my wrap-ups. Unpopular and/or controversial opinions seem to be very popular here on my blog. As y’all can tell by the sad amount of posts in the section above, I only posted a few times this month. I wasn’t very consistent, but that was due to me being extremely busy again. Two posts weren’t even close to being book-related, but I wrote them because I wanted to talk about something I love a lot and I was in a bit of a slump with blogging (book-wise). I still got such a wonderful amount of traffic on the blog even though I was barely posting anything which honestly has me shocked. I always thank y’all, but here I am again. Thank you for your continuous support!! In March I did a lot of things. I moved houses again after a bit of a disagreement with the landlord over a few things, which we cleared up. I finished my German course and decided to get myself a tutor for Algebra (which I haven’t quite found yet as of now – nobody is available apparently??) But I’ll find one soon and then I’ll hopefully finish Algebra in April or early May! After that, 12th Grade here I come! I honestly don’t think I watched much this month?? I started a few dramas on Netflix but haven’t finished any of them yet – My Only Love Song (which is alright but kinda eh), To Be Continued (super short and should finish soon! ), and Age of Youth 2 (literally only like an episode and a half in but love it!). Oh! I also watched the movie Boyhood with my mom one afternoon when we finished our other two shows and didn’t know what else to watch haha. It was pretty good, but it also felt really long. Super, overly long. Anyone else seen it and think the same? Hahaha – all of you K-Pop haters probably hate this section every wrap-up. Well I don’t care because two of my favorite groups had comebacks in March so LOTS OF FANGIRLING! This comeback though – ohmygod!! Monsta x has come back full-throttle, holding nothing back. I can’t even count how many times I’ve listened to their title track ‘Jealousy’ from their newest album!! Their other songs are just as good in Monsta x style. They pump me up, deliver wonderful vocals, dance-worthy beats, and great raps from the rap line. Also, can we talk about the ‘Jealousy’ dance? Their choreography is always amazing, but it’s even better than I could’ve ever imagined. How was your March? Did you do anything interesting? Read any good books? Listen to any good music? Let me know! Heyaaaaaaaaa!! That is so freaking awesome!! I haven’t attended a single concert in my life, I mean these biggish events!! It was sooo close!! I still can’t believe we were able to get so close to the stage. I definitely prefer quality over quantity – that’s a good thing that you can use assignments to your blogging advantage!! That VIXX comeback gonna do me dirty I just feel it :’) yay for the concert and books, and good luck on your schooling adventures! It’s my first Vixx comeback so I’m so excited and I know it’s going to blow me away. My bias is hoshi and coups is my bias wrecker ~ i’ve been leaning towards minghao as of late as well they’re all amazing!! Okay, thanks for the info – I wasn’t sure if Pakistanis was considered Asian or Middle Eastern. I wasn’t sure if I was just imagining things or not, but I felt that way as well! I’m not sure why?? Hope your April is great, May! aaahhh you had such a good month for reading, all your books were rated so highly!! i’m crazy jealous haha i always end up reading at least one book a month that i don’t really enjoy. have a great April! It really was!! I immediately wanted to re-read it once I finished it. I hope so too – so far there hasn’t been much motivation besides writing this wrap-up post. Thank you – that means a lot to hear ❤ Haha thanks. I found myself a tutor so progress. oh dear god math is the absolute worst thing in this world. I’ve always hated it. I failed calculus and then I was like, YEP i’m majoring in English bye. oh my gosh YES it’s horrible, thank god my school is just making me take 1 college math course, i’m in it now and it’s s l o w l y killing me. Ah at least it’s only one and not two! There’s a lot to catch up on haha – a lot’s been happening with NCT recently (they added 4 new members this year so there are 18 of them now lol, but I mainly stick to the subunits U and 127) and then Vixx (idk if you’re a fan of them or not) are having a comeback this month as well.